Art holds a BS in Electrical Engineering from North Carolina State and an MBA from James Madison University. 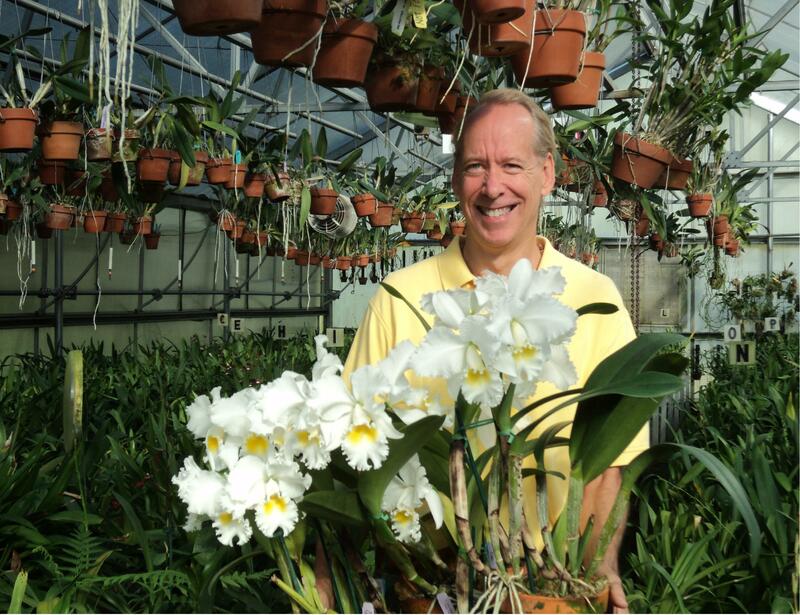 He founded Chadwick & Son Orchids Inc in 1989 with his father who has been growing orchids since 1943. ‘The Classic Cattleyas’ is widely considered to be the definitive book on large-flowered Cattleya species and was written by Art and his father. Martha Stewart favorably reviewed the book and had both Chadwicks on her TV Show. 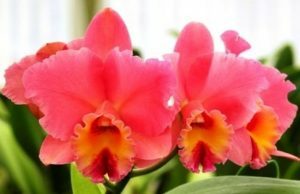 Art has the distinction of naming Cattleya hybrids after the wives of the last five U.S. Presidents and personally presenting the flowers to most of the honored recipients. He is a ‘regular’ on the orchid society speaker’s circuit and has been fortunate to give lectures internationally (Western Australian Orchid Conference, World Orchid Conference in France). He is looking forward to speaking at the World Orchid Conference in Ecuador in 2017. Each month since 2002, the Richmond Times-Dispatch has published Art’s orchid advice column. The Winston-Salem Journal now also runs the popular column. Chadwicks operates 11 greenhouses in rural Powhatan County, a retail store in Richmond, and boards over 13,000 orchids for local clients. The company was recently featured in Southern Living Magazine and the New York Times. David Genovese will be talking to us at the April meeting on “Grooming Orchids for Exhibition…a Tips and Tricks Hands-on Demonstration” We will be going over ways to clean, stake and arrange orchids so that they produce the best wow factor for both home decor and orchid venues such as monthly meetings, shows and other AOS judged events. Members are encouraged to bring a plant that they might want to exhibit so they can participate hands on during this learning activity. Plants in bud or with spikes not yet fully developed are the best to work with. Since 2007 he has a total of 39 AOS awards, including both flower quality and cultural awards, exhibit certificates and two AOS Show trophies!! David’s presented is more of an open discussion with attendees rather than a straight lecture…questions are encouraged! David has been growing orchids for 31 years. He grows many genera of plants but his favorites are the Vandaceous, Cattleya and Phalaenopsis groups. Approximately 30% of his collection are species, grown in a green house and in a screen enclosure. In addition to caring for and exhibiting plants, David also enjoys creating new hybrids and sharing with others what he has learned. He is an active Member of the AOS and CFOS. Roger Hammer is a naturalist, botanist, photographer, and survivalist instructor for the Discovery Channel’s reality television show Naked and Afraid. He was the manager of the 120-acre Castellow Hammock Nature Center for the Miami-Dade County Parks Department from 1977 to 2010. He received the first Marjory Stoneman Douglas Award presented by the Florida Native Plant Society in 1982, and Tropical Audubon Society honored him with the prestigious Charles Brookfield Medal in 1996. 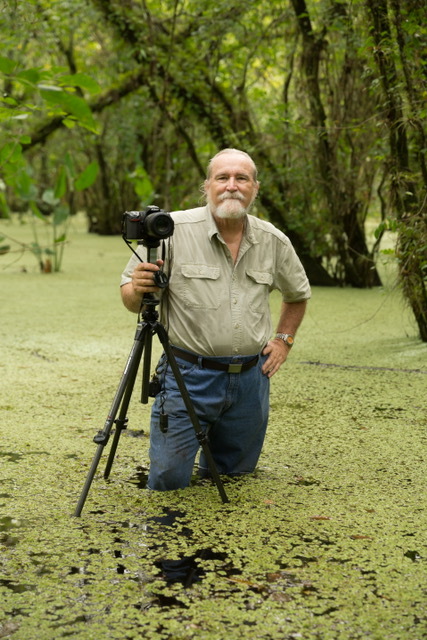 In 2003 he received the Green Palmetto Award in Education from the Florida Native Plant Society. He gave the Keynote Address at the 2008 World Orchid Conference in Miami, and has given keynote speeches at several Florida Native Plant Society state conferences. In 2012 he received an honorary Doctor of Science degree from Florida International University. 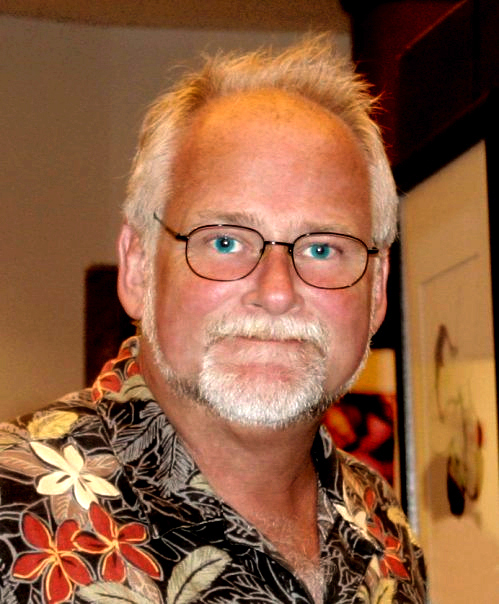 Roger is the author of Florida Keys Wildflowers, Everglades Wildflowers, Central Florida Wildflowers, Exploring Everglades National Park, Attracting Hummingbirds and Butterflies in Tropical Florida, and the Complete Guide to Florida Wildflowers. He lives with his wife, Michelle, in Homestead, Florida. This presentation features the native and naturalized orchids of Florida. Of the 110 native species and varieties of orchids found in Florida, Roger has photographed 96 of them, which has taken him from the far western panhandle to the lower Florida Keys. Instructor: Tom Kuligowski, avid orchid grower, specializes in Angraecums, award-winning photographer for 45+ years, (tkangcm@live.com / www.angraecums.blogspot.com / www.facebook.com/tkangraecums) Angraecums tend to be known for their beautiful, showy flowers, many that are fragrant at night. Some can even become fantastic specimen plants in just a couple of years. 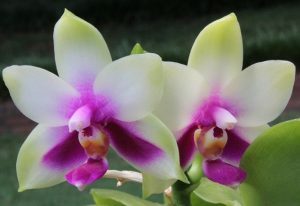 With both species and several sought after crosses, the Angraecums offer some very unique shapes along with the most pristine white in any of the orchids. The amazing fact people aren’t aware of, is that they can thrive in South Florida’s sub-tropical weather or on a windowsill or a greenhouse in the not so warm north, if given the chance. This presentation will provide both hobbyists and serious growers with fundamental guidelines to grow these beauties successfully and in turn, grace you with years of enjoyment. All of the photographs within the presentation are of plants from his collection. Many of them showing the various growth stages (from seedlings to first time bloomers to specimen plants).